These Model regulations of admission for training in organization of education implementing professional academic programs of higher education (hereinafter – Model regulations) are developed according to subparagraph 25) article 4 of the Law of the Republic of Kazakhstan ‘On education’. 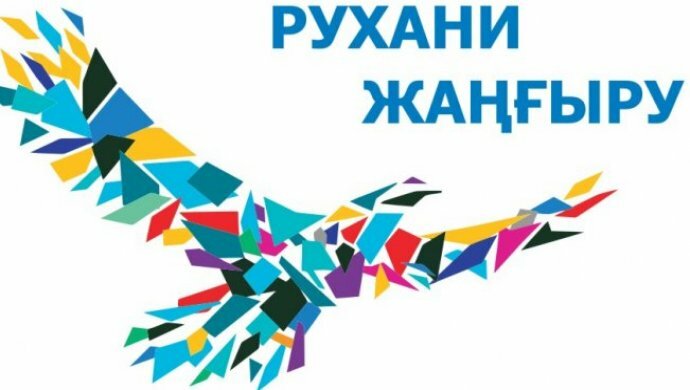 In the organizations of education of the Republic of Kazakhstan, implementing professional training programs of higher education, the persons who have secondary general (secondary general), technical and vocational (primary and secondary vocational, post-secondary), higher (higher professional) education. The admission of applicants entering to higher educational institutions of the Republic of Kazakhstan is implemented by placing the state educational order (educational grants), and tuition at the expense of own means of citizens and other sources. Stateless persons permanently residing in the Republic of Kazakhstan, persons of Kazakh nationality, who are not citizens of the Republic of Kazakhstan are granted the right to receive free higher education on a competitive basis in accordance with the state educational order, if they get education of this level for the first time, with the exception of military educational institutions. The right to receive free higher education for the foreigners on competitive basis in accordance with the state educational order is determined by the international treaties of the Republic of Kazakhstan. The admission of applicants who enter to higher educational institutions of the Republic of Kazakhstan is realized on their applications on a competitive basis in accordance with points of certificate issued by results of unified national testing (hereinafter – UNT) or complex testing. Complex testing is held for graduates of organizations of secondary education (general secondary) of past years, graduates of technical and vocational (primary and secondary vocational, post-secondary) education organizations, graduates of secondary schools who did not take part in the UNT, trained through international exchange of students abroad, graduates of Republican musical boarding schools, and persons, who graduated from educational institutions abroad. The admission of applicants to higher educational institutions of Kazakhstan for training on a paid basis is carried out by educational institutions. Admission to higher educational institutions with technical and professional, post-secondary education (colleges) on related specialties on training in reduced terms on a paid basis is carried out by results of complex testing. The list of related specialties is approved by the authorized body in the field of education. Admission of persons to higher education institutions with higher education on training in reduced terms on a paid basis is carried out by admission committees of higher educational institutions. Admission of foreign citizens on the allocated quota on the basis of state educational order to international higher education institutions, created on the basis of international agreements, is carried out by universities independently. Admission of foreign citizens for training in higher educational institutions on a paid basis is carried out in the form of interviews conducted by admission committees of higher educational institutions. There is quota of admission in the amount approved by the decision of the Government of the Republic of Kazakhstan at admission to academic programs in higher educational institutions. There is a quota of admission to higher educational institutions of the Republic of Kazakhstan, for people who graduated from rural organizations of education, the list of bachelor’s program specialties is approved by the authorized body in the field of education. The admission for study by the state educational order in certain specialties of higher education requires working with state secrets, carried out in the organizations of education with permission of national security bodies. Admission for the specialties requiring special or creative preparation (further — creative specialties), is carried out with due account for special or creative examinations (further — creative examinations). The list of creative specialties and the order of the special or creative examinations, which are approved by the order of authorized body in the field of education. The admission of applications for creative specialties is conducted by admission commissions of higher educational institutions from 20 June to 1 July. Those, who enter to creative specialties, specify only one creative specialty. Those, who enter to creative specialties pass creative examinations which are conducted by admission committees of their chosen higher educational institutions. The number of creative examinations is two. The maximum points on creative examination are 25. The persons who receive less than 10 points for the creative exam or do not attend it, are not allowed to take complex testing for admission to this specialty. The retaking of the creative examination is not allowed. 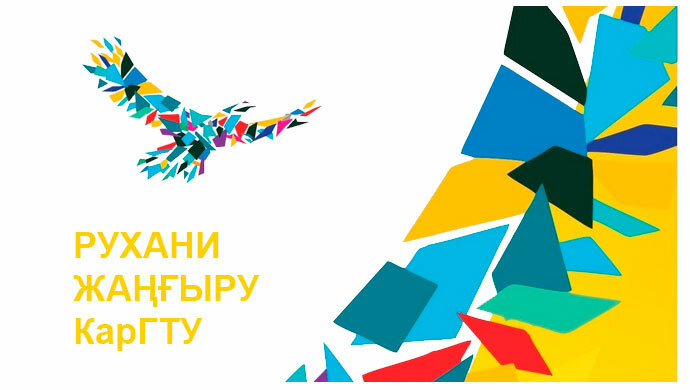 The points are considered on two subjects of testing: state or Russian language, history of Kazakhstan for persons, entering to creative specialties. Higher educational institutions, regardless of ownership, submit the final report on the organization and conducting of creative exam, as well as copies of orders on passing of creative exam within ten days to the authorized body in the field of education. Admission of applications is carried out at the place of location of higher educational institutions at entering on creative specialties and higher educational institutions subordinated to law enforcement and special agencies. Complex testing is conducted on the basis of points of testing (base higher educational institutions) the list is approved by the order of authorized body in the field of education. Complex testing of persons entering to creative specialties and higher educational institutions, subordinated to law enforcement and special bodies, is carried out in base higher educational institution, the selected higher education by person is attached to it. The state commission for organization and conduction of complex testing for people entering higher education institutions (hereinafter – state commission) are created to conduct organizational and public-awareness work and keeping discipline on the decision of the authorized body in the field of education. The representatives of the authorized body in the field of education are sent to higher educational institutions to implement control for observation of holding complex testing technology. The person gives application on a prescribed form, certificate or diploma of completion of general secondary education (secondary general), technical and vocational (primary or secondary vocational, post-secondary) education (original), receipt for testing payment, two photos 3×4, medical certificate form – 086 and a copy of the document proving the identity to the admissions office of a higher educational institution for participation in the complex testing. Admission of applications for participation in complex testing is conducted by admission committees of higher education institutions from 20 June to 9 July. Complex testing is held from 17 to 23 July. Complex testing is conducted at the request of the applicant in Kazakh or Russian languages in volume of academic programs of secondary education in four subjects: state or Russian (language of study), history of Kazakhstan, mathematics and elective subject. The list of specialties with elective subjects and specialized subjects of UNT and complex testing is approved by the authorized body in the field of education. 2 hours and 30 minutes are given for complex testing. Retake of the testing is not allowed. It is not allowed to change from place to place, to exchange examination materials, cheat, bring textbooks and other academic literature, mobile communication devices (pager, cell phone) to the classrooms and use them during the complex testing. In case of violation of paragraph 21 of the Model regulations, a representative of the authorized body in the field of education takes a formal note of detecting prohibited items and withdrawing the applicant by the form of Appendix 1 to the Model regulations and adopts a decision on cancellation of testing results. In the event of applicant’s refusal to pass the exam materials for processing at the expiration of the time allotted for complex testing, the representative of the authorized body in education draws up a report in the form according to Appendix 2 to the Model regulations. The results of the examination material of the specified person are not processed. The number of test tasks in each subject — 25. The correct answer to each test task is assessed by one point. Processing of complex testing results is held at the high educational institution, where the complex testing was conducted. Codes of correct answers are posted after the processing of test results. The results of complex testing are announced by the state commission in the day of its conduction. Each participant is given a test certificate of the established sample issued by the state commission within three calendar days after testing according to the results of complex testing. Republican Commission on appeals (hereinafter — the Republican Appeal Commission) and appeals commission at each higher education is established in order to ensure compliance with the common requirements and dispute resolution during the assessment of tests, the protection of participants’ rights during the testing. The appeal commission is established to review applications of persons who do not agree with the results of complex testing and/or maintenance of test tasks. The Chairman and Republican Appeal Commission membership are approved by the order of authorized body in the field of education. The Chairman of the Appeal Commission is approved by the order of the authorized body in the field of education from its members, and the membership by Chairman of the state commission for organization and conduction of complex testing. The appeal commission accepts and considers applications from test participants on the content of test tasks and for technical reasons, submit a proposal to the Republican Appeal Commission on adding points to the person and inform him about the results of appeal. The application for appeal is addressed to the Chairman of the Appeal Commission personally by the participant of testing. Statements on the content of test tasks and for technical reasons are accepted till 1 p.m. of the next day after the announcement of results of complex testing and considered by the appeal commission within one day. The applicant must have a document proving his identity and pass for testing. The appeal commission works with each person individually. In case of absence of person to the meeting of the appeal commission, his application for appeal is not considered. The work of the appeal commission is headed by the Chairman of the appeal commission. The decision on the appeal of disagreement with test results is accepted by the majority of votes of the total number of commission members. In case of equality of votes, the vote of the Chairman of the Commission is crucial. The work of the appeals commission is formed by the protocol signed by the chairman and all members of the commission. The Republican Appeal Commission considers the validity of the proposal to add points to the person by appeal committee and takes a decision. The decision of the Republican Appeal Commission is made by majority of votes of the total number of members of the commission. In case of equality of votes, the vote of Chairman is decisive. The decision of the Republican Appeal Commission is formed by the protocol, which is signed by the chairman and all members of the commission. Admission to the number of students is conducted by admission commissions of higher educational institutions from August 10 to August 25. Applicants submit the following documents to the admission commission of the higher educational institution, application on admission, a document on general secondary (general secondary), technical and vocational (primary and secondary vocational, post-secondary) or higher education (original), 6 photos 3×4, medical certificate form 086, certificate of UNT or complex testing and certificate on awarding of educational grant (if any). The persons who received the certificate of educational grant award, apply statement for admission to the higher education institution specified in the certificate and are enrolled in the number of students by order of the rector of a higher educational institution. Owners of certificates of educational grants on creative specialties are enrolled to higher education institutions, where they passed special (creative) examinations. Graduates of general secondary organizations of current year, who passed UNT, participants of complex testing, with test results not less than 70 points are admitted to the national educational institutions on paid academic program, in other institutions of higher education at least 50 points, and the specialty ‘General medicine’ not less than 55 points, on the following subjects: state or Russian (training language), history of Kazakhstan, math and elective subject, including not less than 7 points in a profile subject (not less than 10 for each creative exam), and in other subjects — not less than 4 points. In the case of getting less than 4 points in one of the subjects passed in the framework of the UNT or complex testing, the person is not allowed to the paid academic program or participation in competition on award of educational grants. The admission is carried out separately on specialties and language departments. Admission to the specialty with creative examinations is carried out taking into account the points on these examinations. For persons entering a higher educational institution that trains pilots, medical examination in the medical-flight expert commissions with the issuance of a medical opinion on the appropriateness of training in universities for the training of pilots is obligatory. In the case of registration of incoming educational loans, issued by second tier banks, an applicant is admitted to the number of students in higher education institutions while providing them an appropriate certificate from the bank about finding documents under consideration. However, he is given a reprieve on payment, established in the contract for the provision of educational services and subjected for payment before admission of the citizen, at the time of registration of the educational loan, but not exceeding four weeks from the moment of receiving documents from the bank. Documents submitted in a foreign language must have notarized translation into Kazakh or Russian language. Documents on education issued by foreign educational organizations, undergo the notification procedure in the manner prescribed by law after the admission of persons during the first term of study. Admission to the higher educational institutions, subordinated to law enforcement and special bodies, by decision of the credentials committee of the higher educational institution according to certificate points taking into account data on medical, physical and psychophysiological indicators. Educational institutions, regardless of ownership, represent information on the established forms and within the established deadlines to the authorized body in the field of education, and after admission — the final report on the organization and conduct of admission, copies of orders on transfer students, as well as the originals of the certificates of holders of educational grants, those who abandoned it, and the data of persons (name, specialty), who did not attend higher educational institution in ten days. Issues not regulated by the Model regulations, independently solved by admission committees of higher educational institutions.